Let the memory of all those lost in the attack at Pulse Nightclub be a blessing. May we honor their lives with our love, resilience, and will to build a better world. Add your name to the condolence message for the LGBTQ community of Orlando. 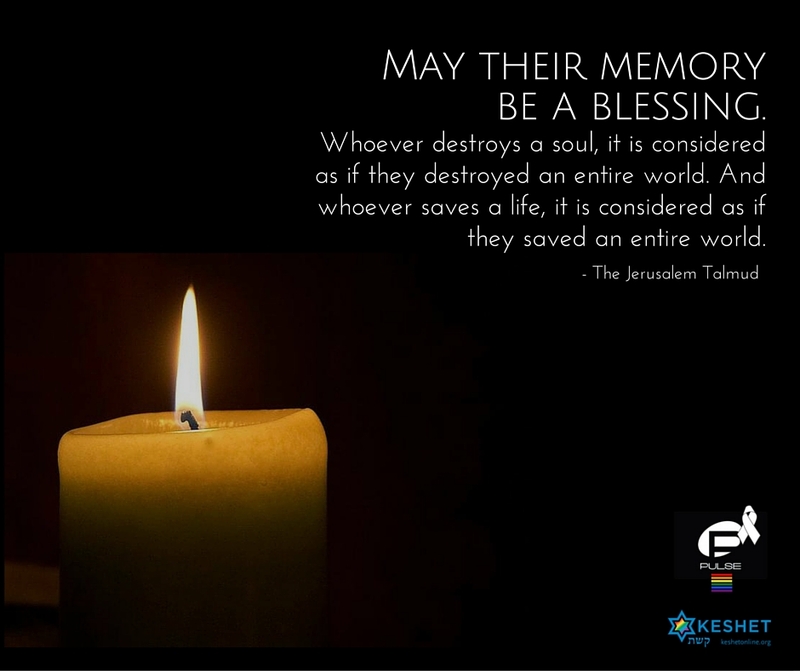 Your name will be displayed on the Keshet website in a show of strength and solidarity from the LGBTQ and ally Jewish community. A card with your name will be sent to Equality Florida on July 1. If you are from outside of the United States and would like to add your name to the card, please email us with your name, city, and country. Please select... Cantor Dr. Prof. Rabbi Rev. Do not display my name on the Keshet website. This is *also* an organizational signature and I am authorized to make it. You have selected "do not display my name." Your organization name will also remain anonymous on the Keshet website. Please write out the full name of your organization.